This time I want to talk about sundresses. This beautiful piece of clothing is considered to be a lazy girl’s Summer outfit. Whether you are going to the beach, barbecue party, for a walk or special party, a lovely sundress will always boost your confidence and make you look and feel very special. This time, I will draw your attention on what shoes to wear with a sundresses, what layering tricks you can use and how to flawlessly pull off a sundress during warm season months. Do you feel the warmth? Yes, the warm season is felt in our hearts and it means we have to choose what to wear during hot season months. In this article, I am going to talk about my favorite little white dresses for Summer. I do like to see these precious ensembles on sun-kissed skin women. White dress in on our list! It can be dressed up with statement heels, eye-catching jewelry, layered with simple denim jackets, etc. There are lots of inspiring ways how to wear LWD, from sneakers during Saturday around town, or off to a cocktail party with killer heels and a structured blazer. Read on to find out more. No matter if you were invited or simply want to visit somekind of party, there are thousands and more outfit ideas to copy right now. You just need to find your favorite style that looks awesome during Ligo. You need to concntrate your thoughts on your cocktail party look. Get inspired and find your favorite. If you do like color-blocking looks, then you can try on this white black and pastel blue colored mini dress. It’s a great choice for women who want to look modern, classy and ladylike. 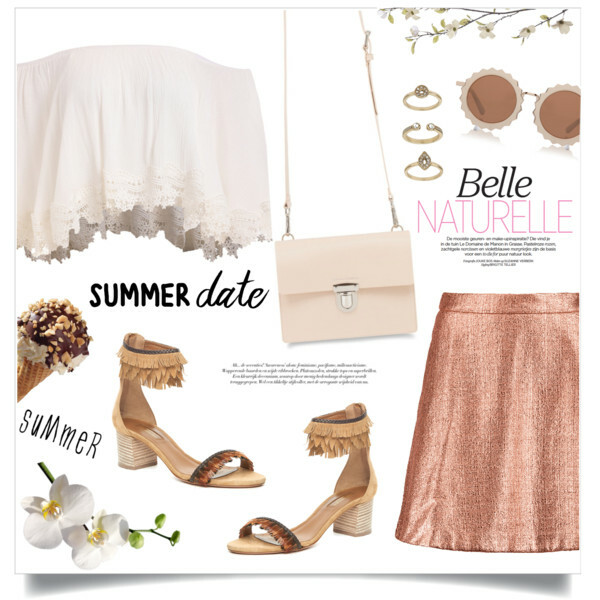 You can add Clubmaster sunglasses, black sandals and party clutch bag to finish this look. It’s always fun to combine Summer casual outfits. In today’s article, I want to cover my favorite looks to copy this hot season. Every woman wants to look bright and stylish, as well as stand out from the crowd. Despite the fact, there are lots of cool and incredibly hot fashion looks, women still have difficulties choosing a stylish Summer look. That’s why I decided to show you my favorite fresh selection of Summer outfit ideas that are ideal for different occasions. The most important part is to carefully choose the right style and represent it to others. All in all, take a look at the brightest looks to try this Summer. This might be your favorite Summer casual look. 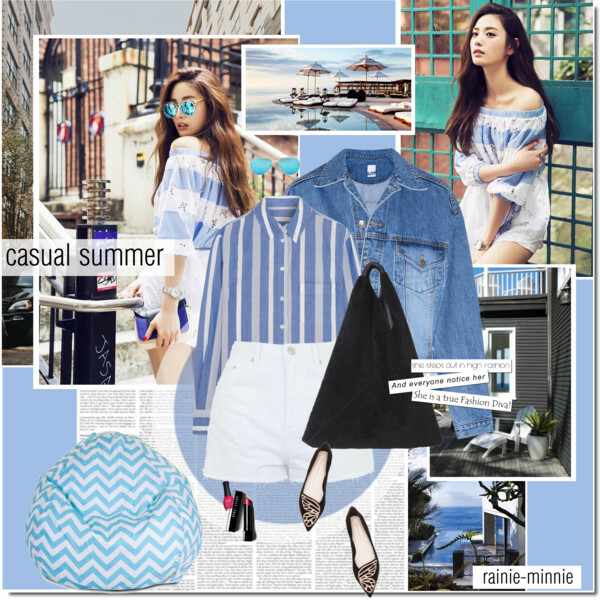 It consists of white denim shorts, pinstripe blue button-down shirt, pointed-toe flats and blue denim jacket. This post is dedicated to Summer trousers and ways how to wear them in your everyday life, combining with different tops and shoes. The choice of trousers is great and it’s pretty easy to get lost in all this diversity. One thing is known for sure, no matter what pants you gonna wear, they should ideally fir your body, sit well and ideally harmonize with the rest of your outfit. Trousers allow you to create lots of awesome outfits. No worries, I am here to cover my favorite looks that are very easy copy this Summer. 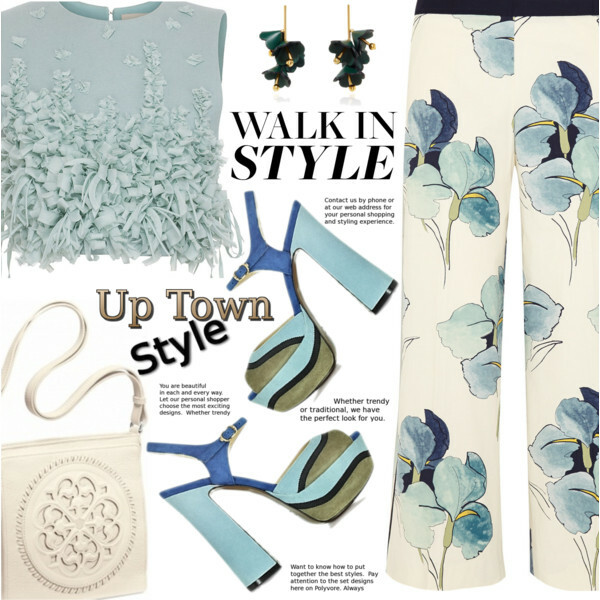 White trousers with light blue florals are ideal for ladies who want to walk in style. Pair them with a cropped pastel blue embellished sleeveless top and platform heeled sandals in blue and sky-blue colors. This outfit is great for the uptown style. Wear it to special events, nightclubs, and cocktail parties. Every woman dreams of a very special skirt that can be worn during hot Summer days. In today’s article, we are going to see some of the best Summer skirts and ways how to make them look awesome on you. All the showcased designs will be popular next years, all because of their versatility. I warn you, you are going to fall in love with almost every outfit in this post. So, take a moment and find your favorites right now! 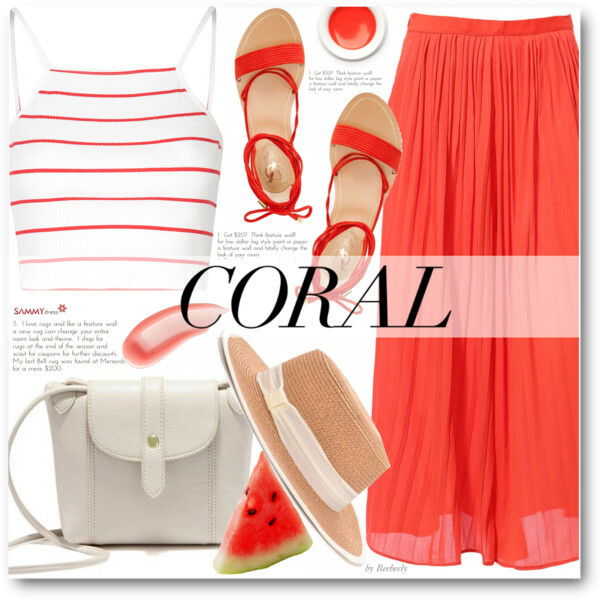 Coral is my favorite color! Make a wow statement in this maxi skirt paired with a white crop top in red stripes and spaghetti straps. Complete this combo with a pair of bright orange ankle tie flat sandals, white shoulder bag, and straw brimmed hat. 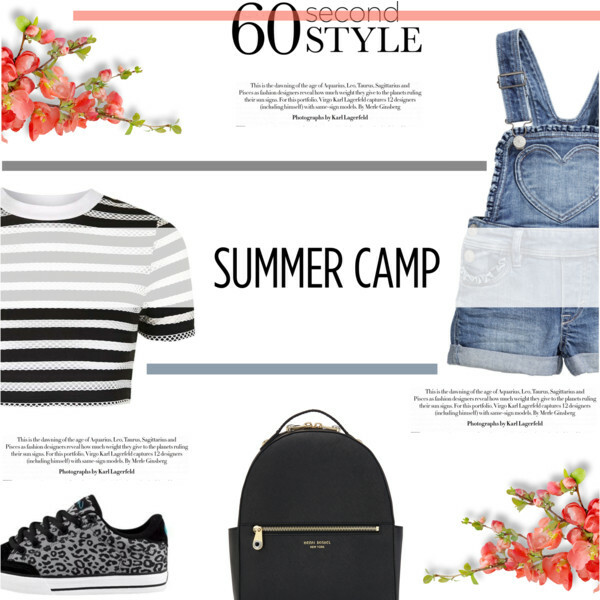 Today’s post is dedicated to practical and easy to wear outfit ideas you can create with denim this Summer season. In modern’s fashion world, denim is considered to be an essential fabric in creating our everyday looks. I tell you more, lots of companies allow their workers to wear jeans during their working hours. That’s why it’s very important to know this Summer season trendy denim. I personally like to see women who choose a total denim look. It is simple, great-looking and ideal for creating a very special appearance. Anyway, this hot season is full of great outfits featuring denim pieces. Make sure to try overalls, wide-leg jeans, double-denim, dresses, as well as colored jeans. Denim shortalls can be worn with a black-white striped crop top and animal print lace-up slip-on shoes. In love with this black leather backpack! The Summer is here and you need a great outfit to show off your individuality. Today’s topic is denim skirt and ways how to wear them in your everyday life. Modern fashion includes lots of awesome denim skirt styles, including ripped designs, embroidered skirts, classic shirt ones, retro inspired and denim bottoms you can use to create a perfect boho look. Most of the showcased outfits are simple and casual, that’s why you are free to wear them in your everyday life. Take a close-up look at these simple combinations and find your favorite style to copy this year. Ripped and frayed blue denim skirt can be an ideal match for wearing with a tribal print crop top. Add gray leather heeled ankle sandals and light blue clutch bag. I’d like to show you possible date outfit ideas you can recreate this Summer. It’s very important to create an appropriate impression on your first date. I would say your clothing plays an important role in creating an excellent impression on a guy. For A Summer Walk In The Park. White off-the-shoulder cropped blouse matches the metallic mini skirt. It’s time to speak about women’s outfit ideas for Summer season trips. This post is dedicated to basic principles of wardrobe selection for summer travels. It’s always fun and thrilling to get yourself ready for another city visit. It’s an exciting experience, but we can be under heavy pressure in physical and psychological terms. That’s why it’s important to let comfort be in respect before choosing your Summer travel clothes. Sure thing, you need to find the right balance and make things look beautiful and feel comfort. Looking for a casual outfit to wear in the Summer camp? You might be interested in a red white gingham print shirt, ripped blue denim shorts and red slip-on shoes with white laces. Add khaki brown cargo backpack and bandana print neck scarf.